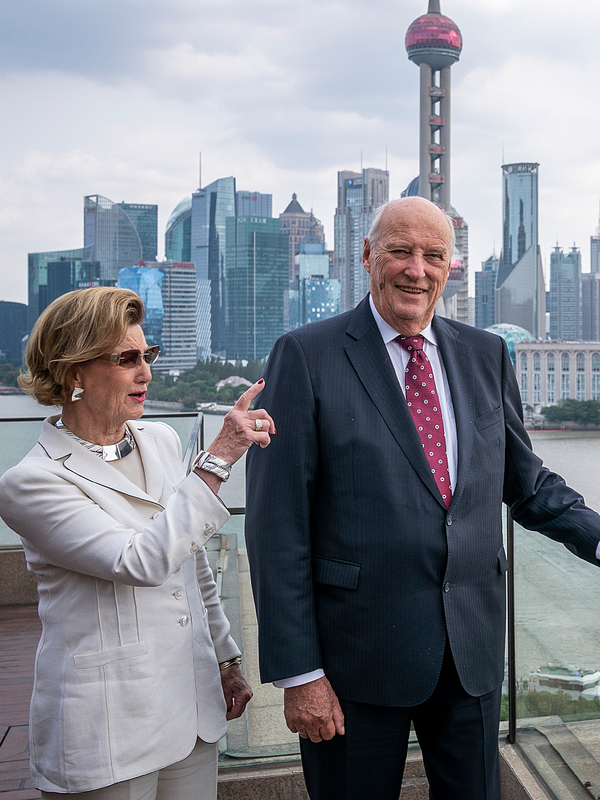 The ocean dominated the programme of Their Majesties in Shanghai today. China and Norway are leading maritime nations, and sustainable development of the marine environment is of great interest to both countries. 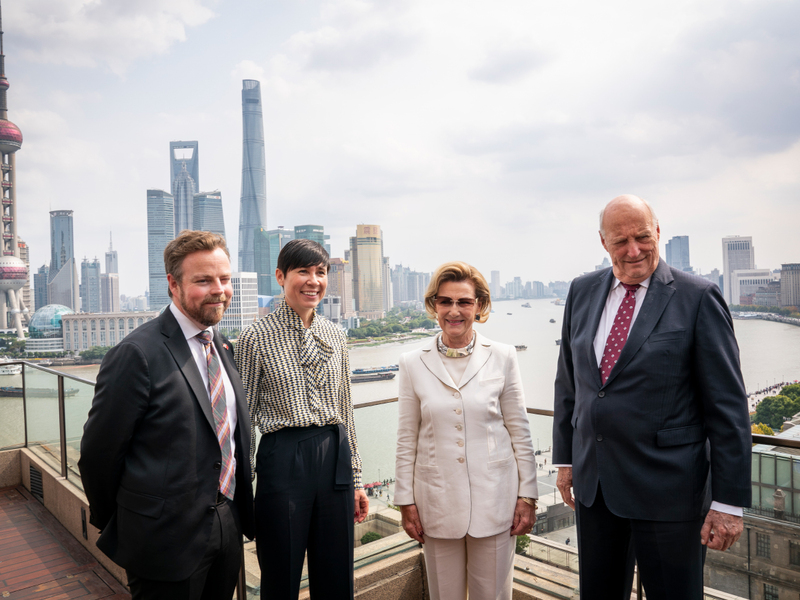 The shipping industry is at the core of the Norwegian presence in Shanghai and has remained a key focus for over 150 years. Roughly two-thirds of the Norwegian business interests in this region are related to the maritime and marine sector. Their Majesties The King and Queen began their day at the Norway-China Business Summit 2018: An Ocean of Opportunities. Approximately 300 participants representing the authorities, the business sector and the research community convened at the conference venue, adjacent to Shanghai’s largest cruise terminal. “The fragility of our oceans has become an increasing concern. If the oceans are to secure our future as they have provided for us in the past, we must stop treating them as a dumping ground. "We must work together at the global level to ensure sustainable use of the oceans. We must coordinate our efforts, and combine Norwegian and Chinese expertise, technology, ingenuity and resourcefulness". "We must work together at the global level to ensure sustainable use of the oceans. 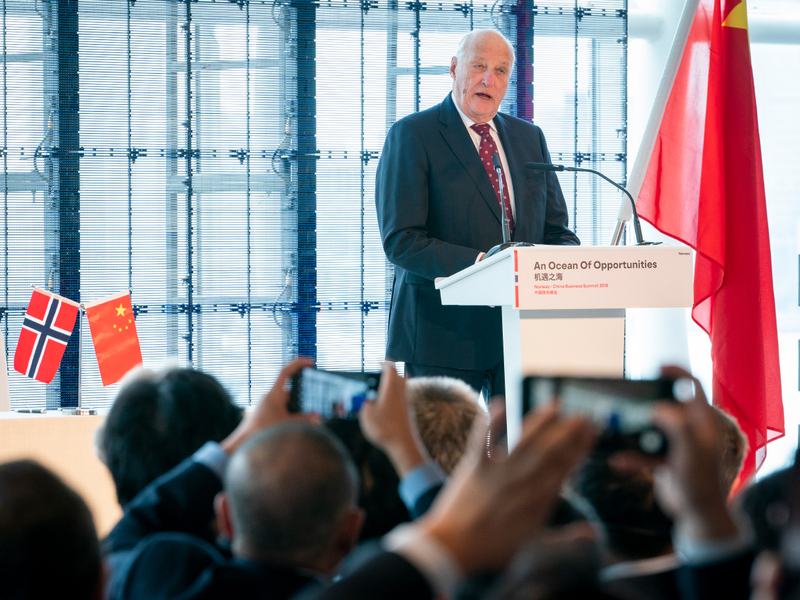 We must coordinate our efforts, and combine Norwegian and Chinese expertise, technology, ingenuity and resourcefulness." 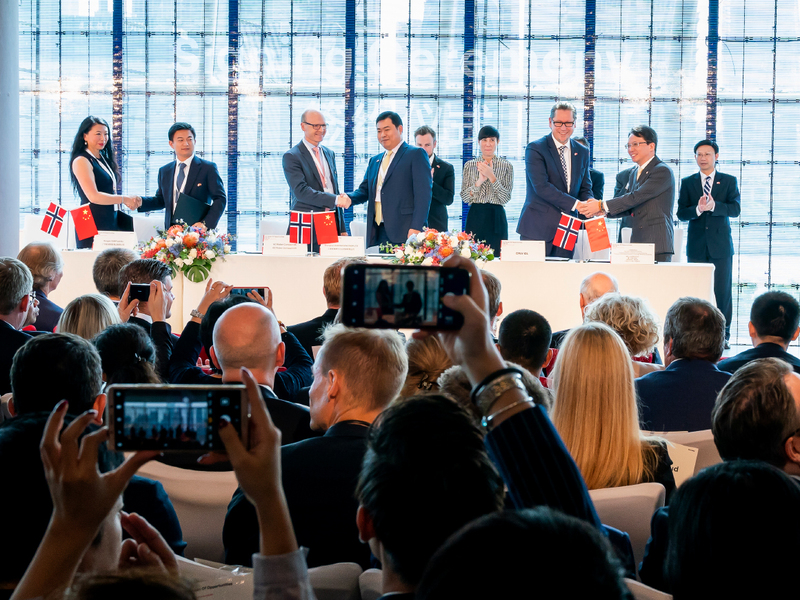 Norwegian companies and research groups are in an excellent position to share in the growing market for sustainable goods and green technology, and 11 new agreements were signed at the conference. Norwegian seafood producerMarine Harvest was one of the companies receiving particular attention today. 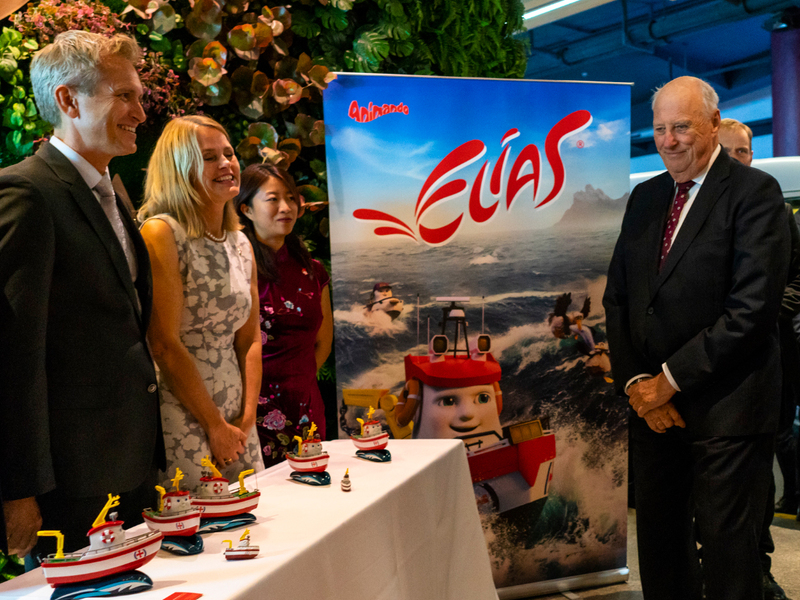 Headquartered in Bergen and with over 13 000 employees in 24 countries, the company opened its new seafood processing plant in Shanghai today. 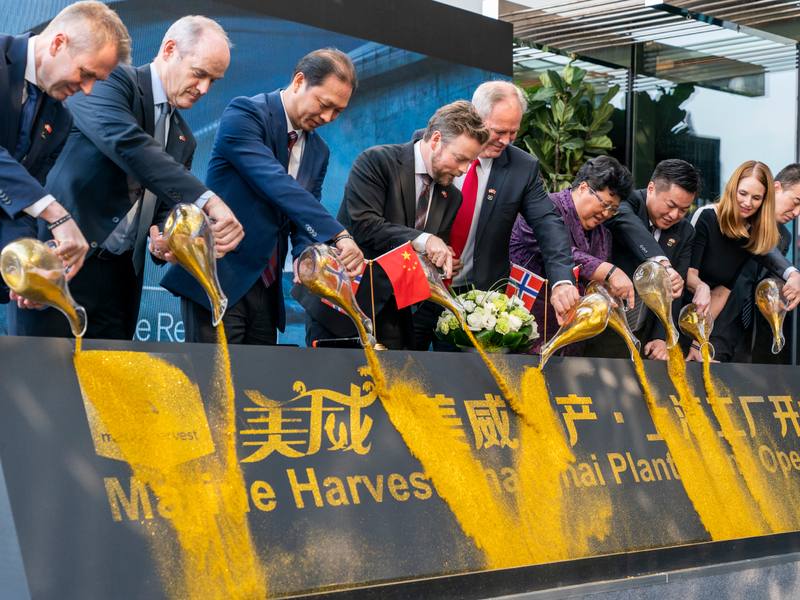 Minister of Trade and Industry Torbjørn Røe Isaksen and Marine Harvest Chairman of the Board Ole-Eirik Lerøy (centre) were among those taking part in the opening ceremony for the new seafood processing plant. Photo: Heiko Junge / NTB scanpix. The King and Queen were in attendance at the official opening and were accompanied by Chinese industrial magnate Jack Ma. 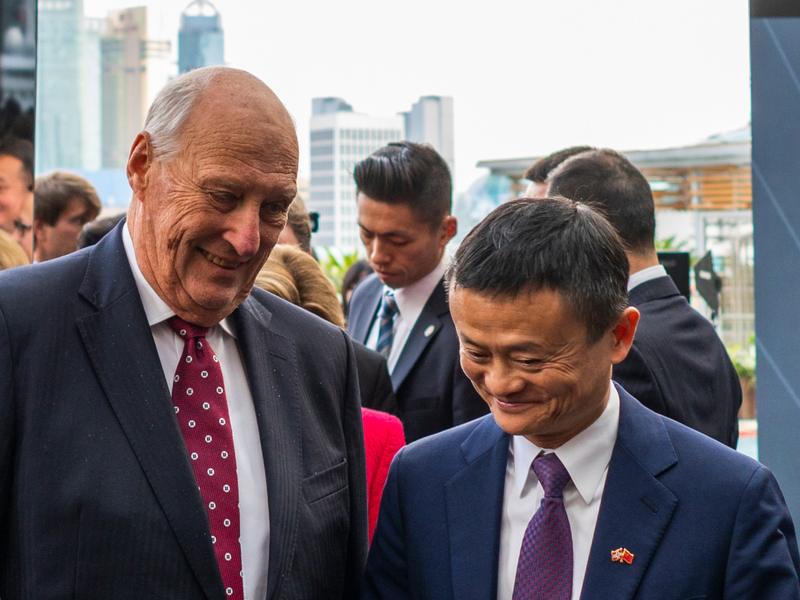 The new plant places Norwegian salmon at the centre of the growing market in Shanghai, and Marine Harvest has entered into an agreement with Jack Ma’s company Alibaba on distribution to Chinese consumers. Jack Ma has announced that he will be stepping down from his role as industry leader to devote more time to charity works and efforts to achieve the UN Sustainable Development Goals. 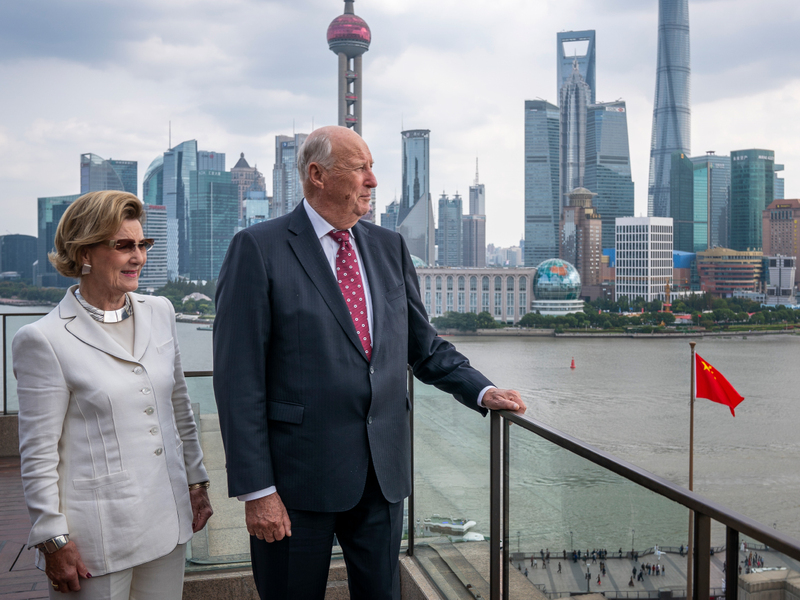 He has become actively involved in the Blue Pioneer Programme, and King Harald and Queen Sonja had the opportunity to meet some of the pioneers today. The programme offers training to young Chinese looking to work with ocean-related issues as entrepreneurs and/or conservationists. The aim is to prepare them for establishing companies or organisations that can help to create a sustainable blue economy. This evening local time, many of today’s conference participants have gathered to enjoy some seafood. Minister of Trade and Industry Torbjørn Røe Isaksen is the host for the dinner, which is based on the theme “Tasting the Ocean”. The King and Queen will be attendance at the dinner along with the Norwegian delegation. Chinese and Norwegian guests will be enjoying dishes prepared by chefs from Norway. The dinner was organised by Innovation Norway in cooperation with the Norwegian Seafood Council. With a view overlooking the famous Pudong skyline in Shanghai. Photo: Heiko Junge / NTB scanpix. Minister of Trade and Industry Torbjørn Røe Isaksen and Marine Harvest Chairman of the Board Ole-Eirik Lerøy (centre) took part in the opening ceremony for the new seafood processing plant. Photo: Heiko Junge / NTB scanpix.